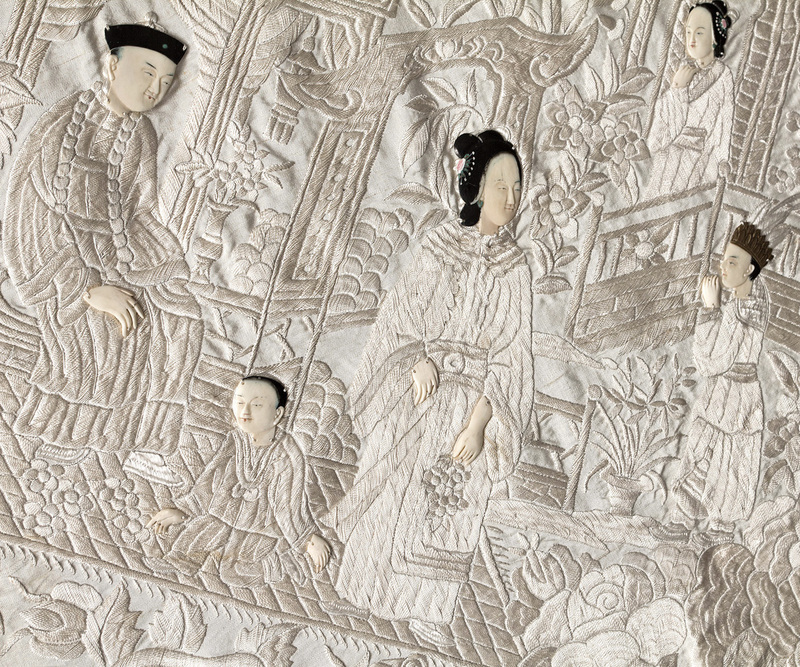 The technique of applying hand painted ivory faces to Chinese figural scenes is well known to collectors of antique "hundred faces" Chinese fans. 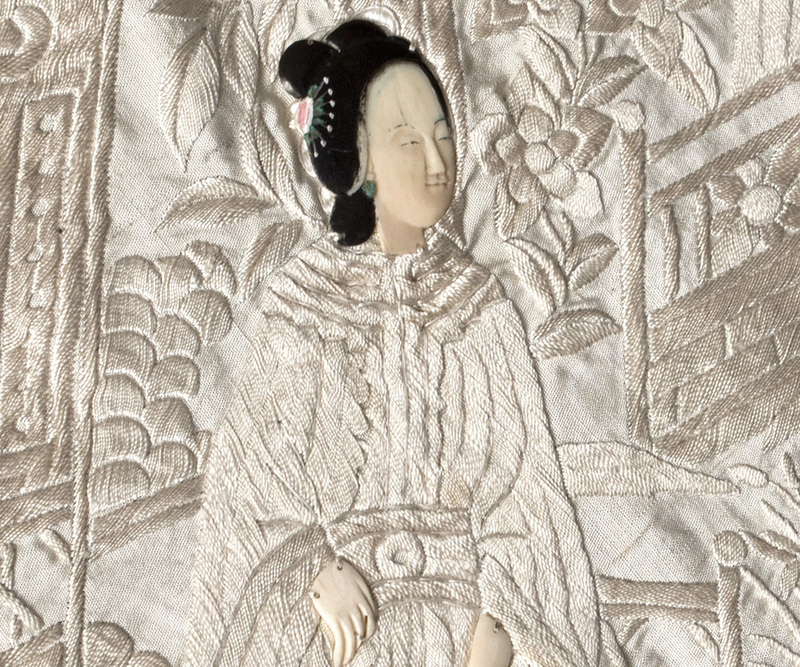 It is very rare to find a shawl with such decoration. I have had only one other. 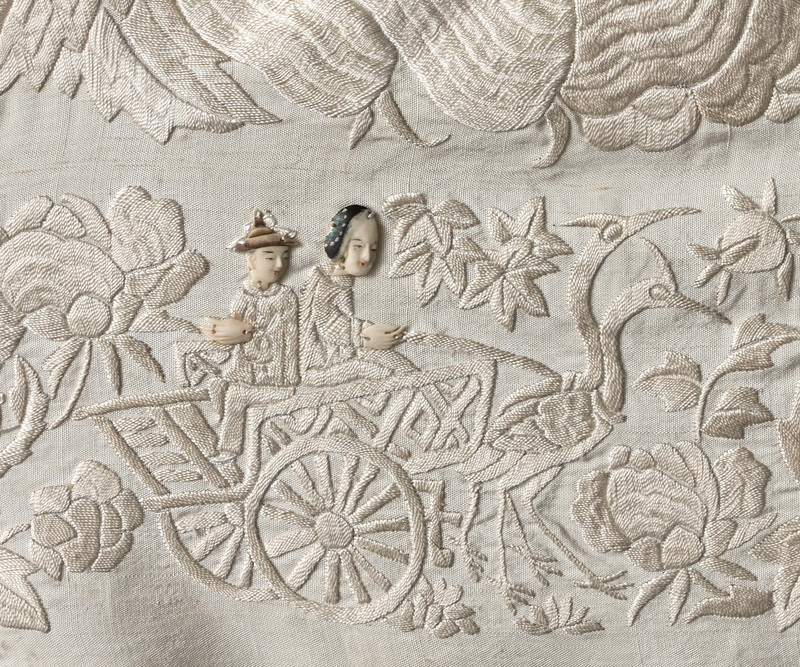 This magnificent and very large ivory silk shawl is lavishly embroidered with ornate vignettes of exotic birds, flowers, and pagodas with figures. 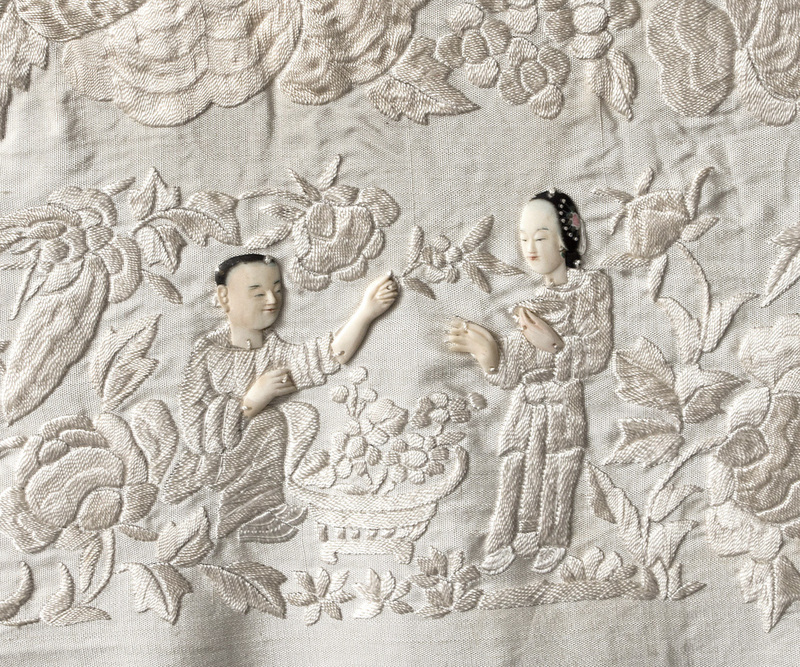 The figures have ivory hands and finely painted ivory faces. 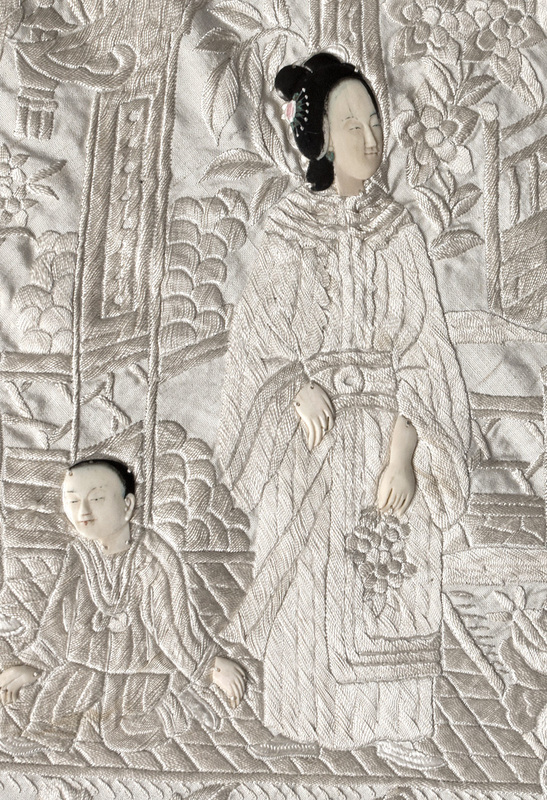 In the border, the smaller figures also have ivory faces and hands. 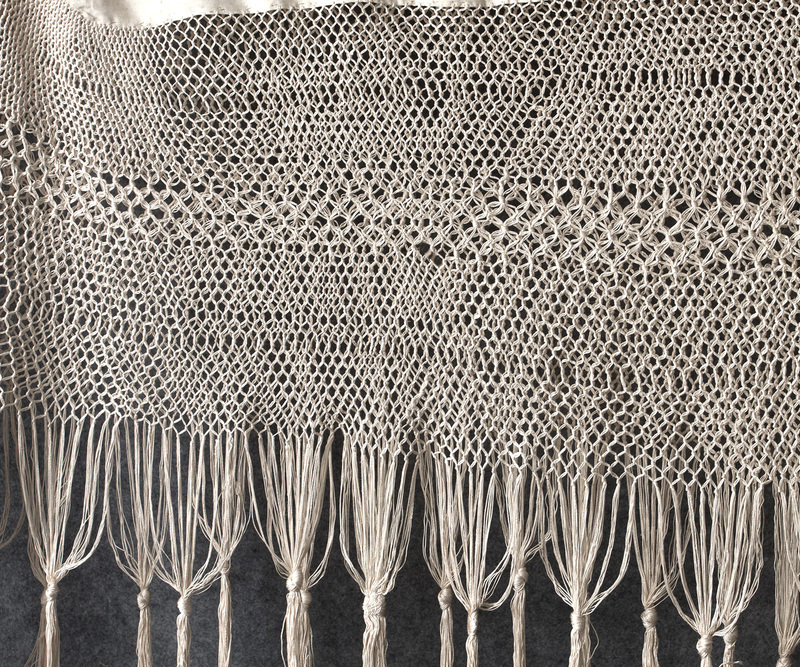 The shawl is edged with a wide border of hand-knotted silk fringe. 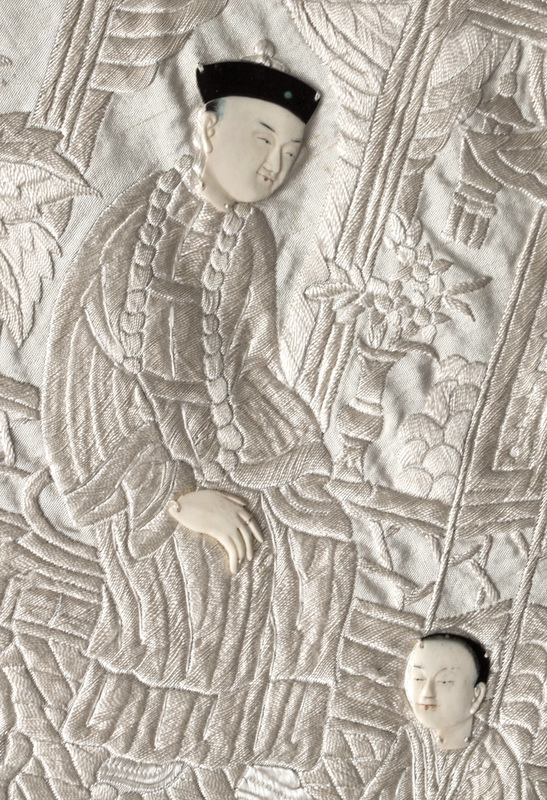 With intricate and dense embroidery, the substantial weight shawl was very expensive to produce even without the ivory faces. 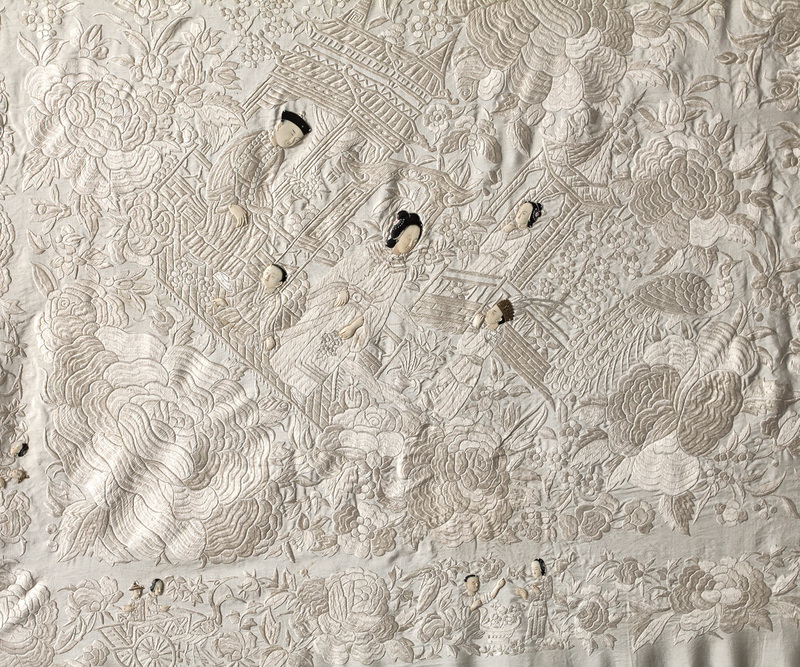 This very important textile is a special find for the serious collector. A hundred faces fan occasionally comes up for auction and sells at a high price. 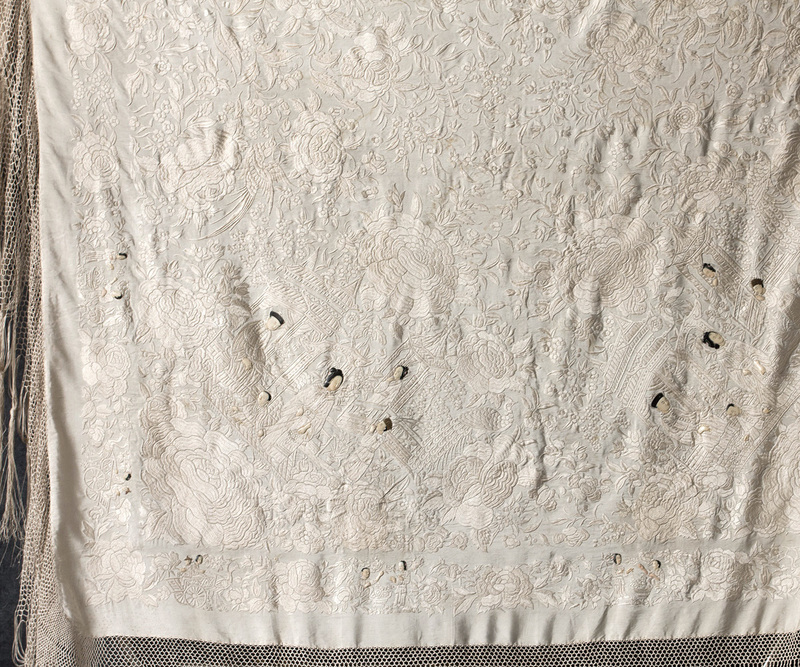 This technique, however, in a sumptuous Canton shawl is as rare as a hen's tooth. The condition is almost excellent. Minor soiling, mostly on the underside, is apparent only on close inspection. Absent the soiling, the price would be in the $2400-$2600 range. The shawl is 56" square without the border. The knotted border with fringe is 28" wide.